Digital television is the new evolution that is taking over the current analogue transmission you might be viewing on your current television. There is talk the Australian goverment will be completely shutting off analogue television by the year 2013. In other parts of the world this may vary in your area. 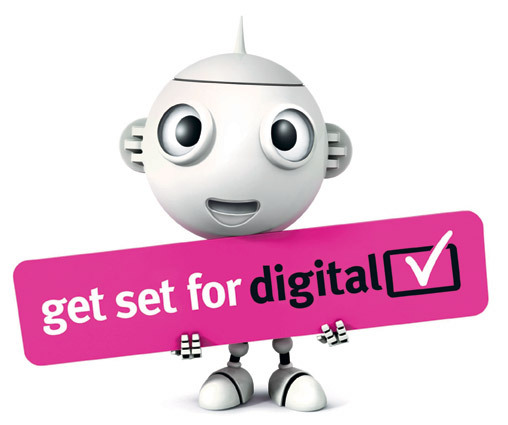 Digital television will revolutionise your viewing experience. The goverment is currently in the "phasing in" period and analogue will no longer be available by 2013 (In Australia) when the goverment proposes to switch off analogue transmissions. To put it simply the current analogue signal you may be viewing on your analogue television is feasable to many interferences from weather conditions, generators, radio communication equipment and many other factors which interferes with the picture on your television (snowy pictures). Other factors of poor viewing of your current analogue television, is the signal you may be receiving with your current antenna which may be caused by an indoor antenna or buildings blocking the signal to your outdoor antenna or you may be in a poor reception area (analogue rolloff). 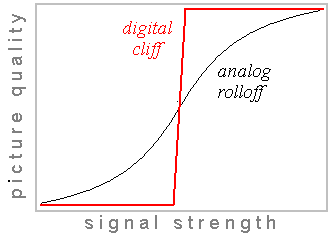 Digital cliff (shown below) describes the sudden loss of digital signal reception. Unlike analog signals, which gradually fade when signal strength decreases or electromagnetic interference or multipath increases, a digital signal provides data which is either perfect or non-existent at the receiving end. It is named for a graph (shown below) of reception quality versus signal quality, where the digital signal "falls off a cliff" instead of having a gradual rolloff. Digital television is a pure clear signal that is not prone to snowy pictures like analogue reception. Once you have Digital television you won't look back. On-screen TV guide for each channel “EPG”. Digital radio stations via your TV. If you click on the link at the top of the page called: "Channel List" you will find the current channels available on Free To Air Digital Television in Australia. Depending on where you live some channels are available in some regions and not available in others. What Do I Need To Get Digital Television? 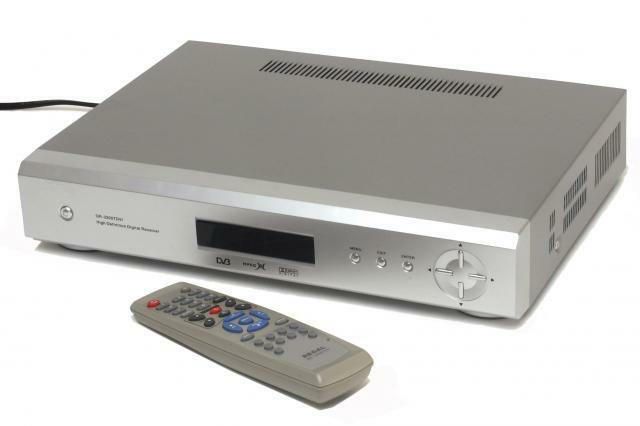 All you need to buy is a "Digital Set Top Box" similar to the one shown below to start viewing digital television. You DO NOT need to throw away your old television (in most cases) and buy a new one in order to receive digital signals to your current television. Most people choose a set top box when they first get started and that is all you need to get started in this new phenomenon of viewing digital television. How Much Do Digital Set Top Boxes Cost? These days set top boxes have become very cheap to buy. The price range for a standard definition (SD) set top box will cost from around $50 - $100. A high definition (HD) set top box will be in the price range of $100 - $200. Depending on what brand you buy this price may vary but as you can see, no matter what brand you buy, they will all do the same job in giving you digital pictures on your current television. Since the start of 2008 in Australia, commercial broadcasters were allowed an additional HD Channel to broadcast additional content. The additional commercial HD Channels are breakaway channels from their main channels and they show High Definition programming as well as breakaway specials such as sport, movies, documentries etc. For that matter it is recommended to buy a HD set top box or a television with a built in "HD Tuner". The prices on HD STB's and televisions with built in digital HD Tuners have fallen dramatically in price in the past couple of years so now is the right time to buy a HD STB or a television with a HD Tuner built in. In most cases you do not have to install a new antenna. Your current antenna will most likely work withought any problems whatsoever. In other cases where you may have an analogue antenna that picks up uneccassary signals or interference then a new digital antenna may have to be installed. If you have an indoor antenna and are restricted from installing an outdoor antenna for whatever reason then your current indoor antenna may be adequite enough to receive digital tv signals. Just remember: With digital television there is no snowy pictures. It's just a pure clear picture. Viewing Experience Of Digital TV? Yes. Getting a new plasma or LCD television will give you the full benefits of viewing High Definition digital television. This will give you the best viewing experience as plasma and LCD tv's are "HD Ready" (see below in next question). What is High Definition (HD)Television? High-definition television (HDTV) is a digital television broadcasting system with higher resolution than traditional television systems (SDTV) . HDTV is digitally broadcast because digital television (DTV) requires less bandwidth if sufficient video compression is used. Video game systems, such as the PlayStation 3 and Xbox 360, and digital set-top boxes that rely on an Internet connection, such as the Apple TV, can output an HD signal. The Xbox Live Marketplace, iTunes Music Store, and PlayStation Network services offer HD movies, TV shows, movie trailers, and clips for download, but generally at lower bitrates than a Blu-ray Disc. At the least, HDTV has twice the linear resolution of standard-definition television (SDTV), thus showing greater detail than either analog television or regular DVD. The technical standards for broadcasting HDTV also handle the 16:9 aspect ratio images without using letterboxing or anamorphic stretching, thus increasing the effective image resolution. The optimum format for a broadcast depends upon the type of videographic recording medium used and the image's characteristics. The field and frame rate should match the source and the resolution. A very high resolution source may require more bandwidth than available in order to be transmitted without loss of fidelity. The lossy compression that is used in all digital HDTV storage and transmission systems will distort the received picture, when compared to the uncompressed source. High-definition television (HDTV) yields a better-quality image than standard television does, because it has a greater number of lines of resolution. The visual information is some 2-5 times sharper because the gaps between the scan lines are narrower or invisible to the naked eye. Often, the broadcast HDTV video signal soundtrack is Dolby Digital 5.1 surround sound, enabling full, surround sound capabilities, while STBC television signals include either monophonic or stereophonic audio, or both. Stereophonic broadcasts can be encoded with Dolby Surround audio signal. Brasil opted to upgrade the ISDB-T Japanese standard to H.264 AVC Mpeg4 part 10 in the video compression and HE-AAC for audio compression because Dolby is not open and the royalty fees are more expensive than that of Mpeg4 H.264 AVC and renamed the upgraded standard to ISDB-Tb that now became the International ISDB-T standard. This table below illustrates total horizontal and vertical pixel resolution via box size. 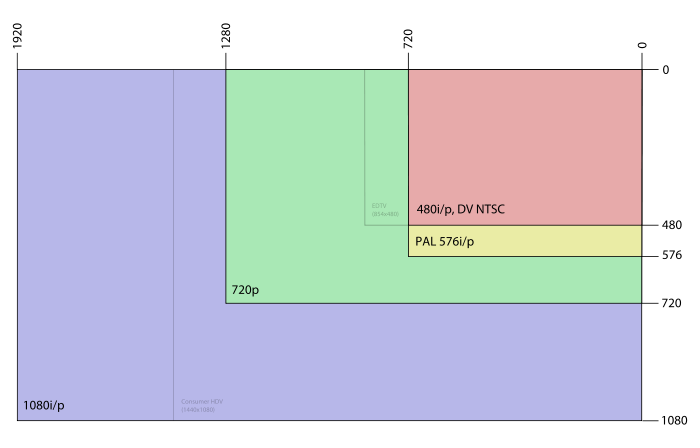 It does not accurately reflect the screen or pixel shape (aspect ratio) of these formats, which is either 4:3, or 16:9. Come With A Built In High Definition Digital Tuner? In most cases, Yes. Most new plasma or lcd tv's now have built in High Definition digital tuners as standard. Depending on the price you pay some cheaper plasma or lcd tv's may not have a digital tuner built in hence the cheaper price you pay. This is not a real concern because if your plasma or lcd tv does not have a digital tuner built in, you can always buy a new digital set top box to plug into your plasma or lcd tv. Just remember if you own a plasma or lcd your best option is to buy a "High Definition Set Top Box" so you can get the full benefits and best viewing experience on your plasma or lcd tv. If you opt for a "Standard Definition Set Top Box" you will NOT get the high definition channels in high definition on your plasma or lcd tv. Just remember this when you consider what type of set top box to buy!